Nicki Minaj has just been awarded an honorary key to the city of Queens, New York from the borough's president, Melinda Katz, for her "outstanding career achievements in music." 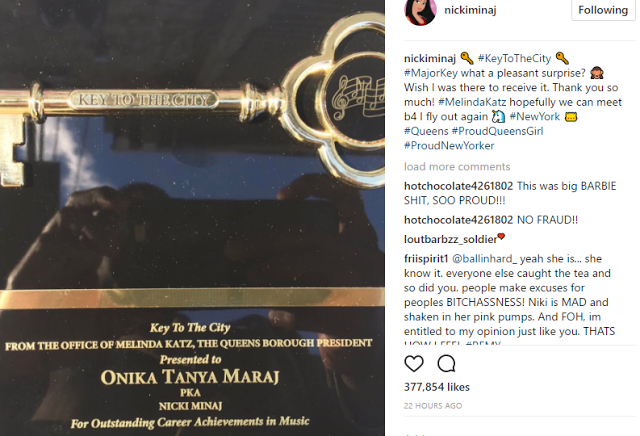 She shared the update on Instagram, calling the new accolade a "pleasant surprise." Although she wasn't at the ceremony in person to receive the award, she did note that she was interested in meeting with Katz.